Sizes: King This luxurious 100% pure cotton sheet set features 525 thread count cotton sateen and provides 40cm fitted sheet wall for deeper mattresses.- King Bed Sheet Set- 1 x Flat Sheet: 260 cm x 260 cm- 1 x Fitted Sheet: 180 cm x 203 cm x 40 cm- 2 x Standard. Sizes: King Triomphe is a classic solid that stands alone or plays well with others. As soft as silk, with a simple but decorative raised double border. - Egyptian-Combed Cotton - 310 Thread Count - Fitted Sheet - Satin Finish Exclusive to David Jones. Sizes: Single Made in France from ultra-soft Egyptian combed cotton, this fitted sheet features a crisp and simple design that provides effortless style to your bedroom.- 100% Egyptian combed cotton- 200 thread count- 94 x 200cm- Extra deep fitted sheet- Made in France. What to consider when buying a bed or mattress There’s plenty to consider when you’re looking for your next bed or mattress, and it’s not a decision to take lightly considering how much of our lives we spend upon them. For those that are looking at a spare bed for the guest room, it may be a good idea to consider a sofa bed (also known as a daybed or futon) so that it can double as a couch or lounge while not in use. As for your regular sleeping arrangements, you’ll need to consider if you want an all-in-one solution, i.e. a bed that includes both the mattress and the base, or if you’ve already got a frame, then you can typically find higher quality and more premium options in purchasing a mattress alone. 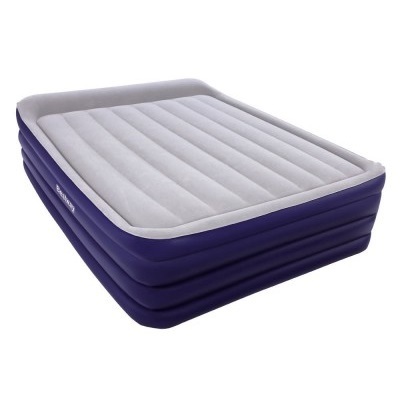 Mattresses are the kind of product that often go on sale, so it’s certainly worth hunting around before you pull the trigger on the top-of-the-line model, as you can typically find similar ones on the cheap, or the same model on special elsewhere.